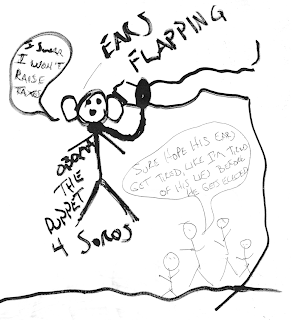 We have written before about Nazi monster George Soros, the man who is basically providing the agenda for those running our country currently. He is a financial benefactor to a vast network of prominent leftist groups, directly funding many that operate here in NH and whose job it seems is to make false accusations against their opponents in order to smear them in the eyes of the public. 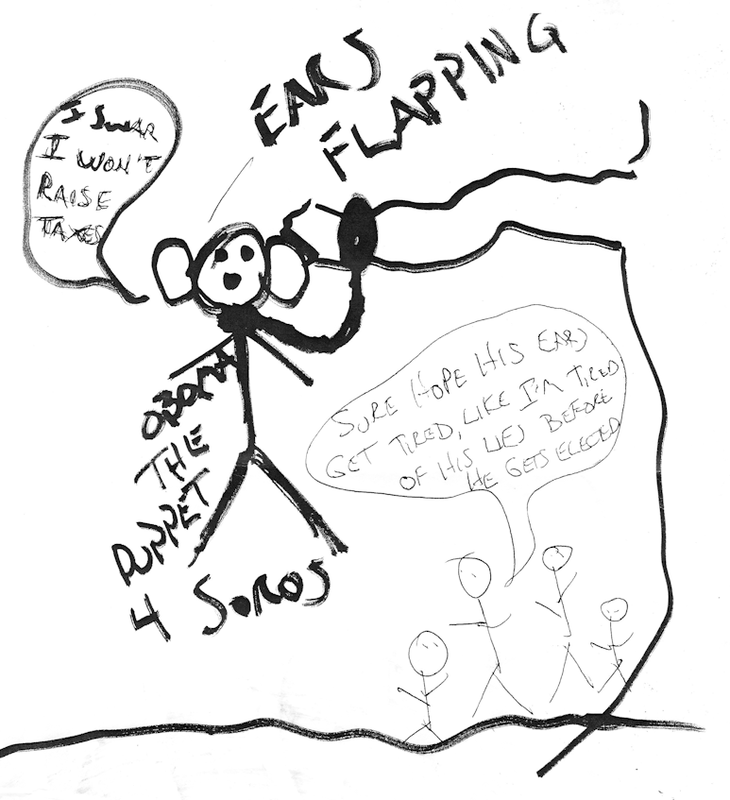 Before Its News, a right-wing blog, refers to George Soros as "Obama's Puppet Master." Mr. Lincoln, you were the greatest racist ever. We had a great gig. Three squares, room and board, all our decisions made by the massa in the house. * Please repeal the 13th and 14th Amendments and let us get back to where we belong. And must I remind people of the following picture of a tea party leader holding a sign that displays the word "niggar?" There was even this recent survey conducted by the University of Washington Institute for the Study of Ethnicity, Race & Sexuality, showing that tea party supporters have a higher probability of being "racially resentful" then those who do not support the movement. 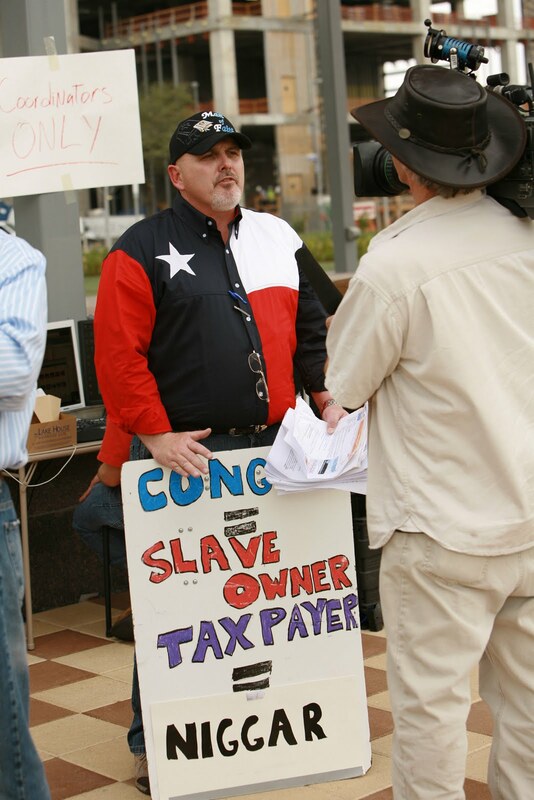 I agree with the statement that the tea party in its entirety is not racist, but I also believe that it has done little to eliminate the racism that exists among its ranks. Just consider Andrew Breitbart's attack against members of the Congressional Black Caucus who claim to have had racial epithets hurled at them during the passage of the health care reform bill - Breitbart even had the audacity to claim these congressmen are the real racists. A resolution passed by the NAACP didn’t say being a tea-party member was equivalent to being a racist. It asked the movement to condemn the extremists too frequently seen at its meetings. If the tea-partiers truly want to change America for the better, they will act on the NAACP’s charge and work harder to make sure that no one — regardless of skin color, religion, or country of origin — would feel unwelcome. Kevin, what we need to remember here is that the Teabaggers are just a subset of the Republican Party and, for the most part, take their orders from them. The GOP has embraced racism ever since the Dixiecrats defected to them after LBJ got his civil rights measures passed. Not all Republicans are racist either, but there's nothing to vile for the party to accept to get votes. The fine upstanding citizen with the lovely sign is a prominent figure who's been on Fox News before. I don't recall his name but it was referenced some months ago at MediaMatters. If I recall correctly, their article had to do with Hannity claiming the cries of racism were without justification. As for Breitbart and his idiotic claims; they were reiterated by Hannity recently (I listen to him on the way home at times). The parroted refrain they all use is 'There were a ton of people there; surely if there were actual cries of racism someone would've caught it on tape.'. So the same group that decried any negative statements about Government when they were in control (respect the office) have no problem calling Democratic government officials liars. Its the same deal with video of liberal thuggery - where is the video evidence (apart from their doctored tapes and snippets taken out of context)?